Samsung’s latest Galaxy Note 8 has been available for a few weeks now, bringing an amazing design and software features. The device comes with Android 7.1.1 Nougat out of the box, an update that many Samsung devices are yet to get. Developers have now ported Galaxy Note 8 firmware for both the Samsung Galaxy S8 and Galaxy S8+ with this Galaxy S8 ROM. Ambasadii Full Note 8 port, released by an XDA developer, brings all the awesomeness of Note 8 right on your Galaxy S8. Here’s to how to flash this Galaxy S8 ROM on your devices. Important: while this is the third version of this Note 8 Galaxy S8 ROM, proceed at your own risk as there are still some issues. For more details, extensive changelog, and community support, head over to this XDA thread. 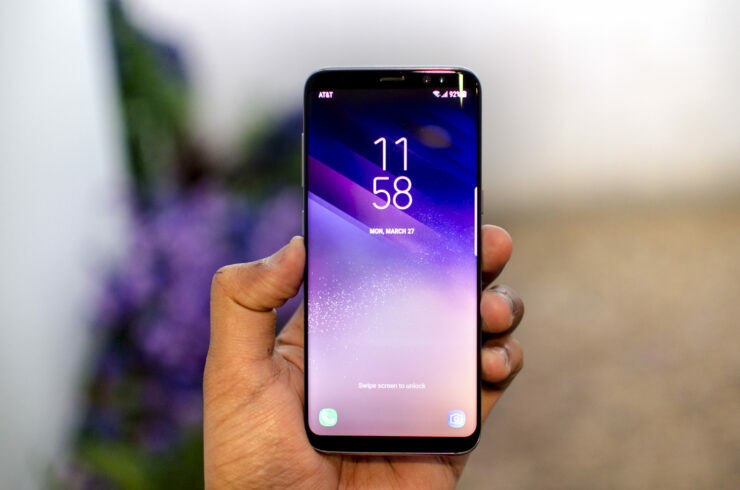 Backup any important data from your Samsung Galaxy S8 or S8+ as a complete wipe will be required during the flashing process. Enable USB debugging option on your device: Settings > Development Options > USB debugging. Samsung Galaxy S8 must be rooted, unlocked and installed with a recovery tool like TWRP. Your device should be charged to at least 70% of power. Required files: download Note 8 Port Galaxy S8 custom ROM and save it on your computer. Do not extract the contents. Connect your Galaxy S8 or S8+ to your computer using a USB cable and copy the zip file to your phone’s SD card. Disconnect the USB cord and power off your Galaxy S8. Boot it into TWRP recovery mode: switch the phone on while pressing and holding Volume Up + Bixby + Power buttons simultaneously. Perform wipe data tasks: from menu, select Wipe and Format Data. Select install and locate the custom firmware to confirm the flashing process. Flash add-ons if you want. Once done, tap on Reboot now. First boot may take a few minutes, so don’t be worried. Remember, the port is still in beta so proceed with caution. If you do install it, don’t forget to share with us your thoughts on this Galaxy S8 ROM.